Yes, I’m a stickler for a daily siesta, but sometimes it’s not as restful as I’d like. Here are the antics the girls got up to during one rest time. Brioni was lying in our bed, talking to imaginary friends and at one point started brushing her teeth. 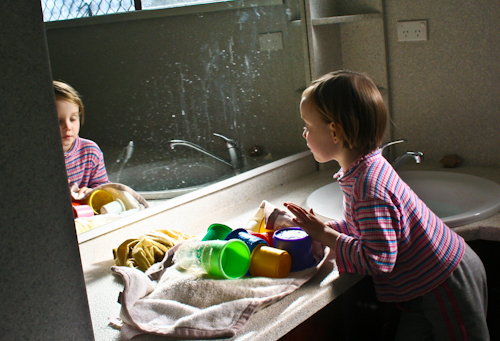 After using the toilet, Aisha spent a loooooooooooong time washing her hands (and all the bath toys) in the bathroom sink. 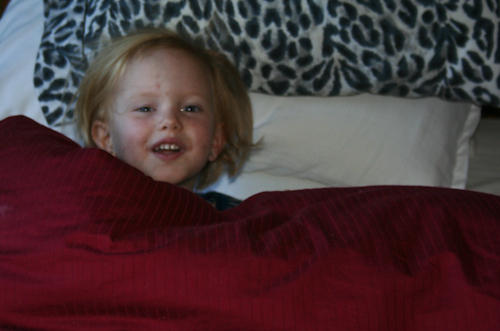 Calista (who shares a room with Delaney) moved into Dell's cot and started playing (very nicely, btw) with her sister. So no one slept, but with everyone contained (and mostly quiet), at least I felt rested at the end of the time!